Latest project. If I could only get my pics to rotate. Sepele amd Birch. -- Average people have wishes and dreams. Confident people have plans and goals. Fantastic work, any interior pics? 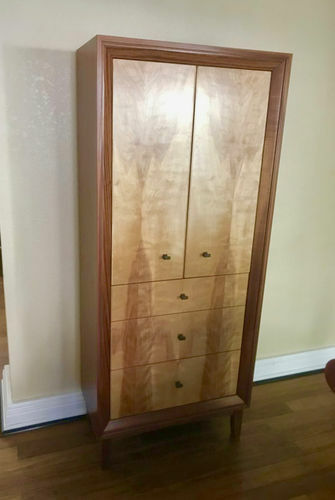 This is a very attractive storage cabinet.